The 47th edition of the Veronese exhibition dedicated to the sector of wine and spirits has recently closed. Vinitaly is one of the most important and expected events for the insiders, producing companies and wineries, professionals and wine lovers. Vinitaly has opened experimenting a new successful formula:on the first day operators and the public have been welcomed to the fair, something that in past years used to happen the last day of the exhibition. The three days succeeding were so completely dedicated to the operator’s work and CDR did not miss the appointment. We sent to the kermesse Simone Bellassai, CDR WineLab® Specialist and Gabriele Casini, Marketing Manager CDR. We chose Tuesday for visiting Veronafiere’s pavilions and meet the companies. Going around the stands of all of the Italian regions, from Tuscany to Puglia, from Sardinia to Trentino, was the occasion for consolidating the dialogue with our clients and for establishing new relations. There was the chance for communicating a piece of news about CDR WineLab® as well: the brand new test for glycerol and the updates of some analytical methods of the instrument, like the determination of alcohol, that now results even more simple and rapid. We made arrangements to install the updates on the yet functioning instruments in a fast and simply way. In this way who uses CDR WineLab® systems can benefit from the developments of the most recent research of our chemical R&D laboratory. 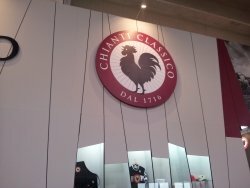 We are happy about our visit to Vinitaly, also because we noticed a widespread optimism within the sector of wine. The numbers of the exhibition confirm this trend, and so the data of the Italian wine export and the level of satisfaction of the expositors. Among these ones we noticed the presence of some hand crafted beer producers and that microbreweries conquered their visibility at Vinitaly, in the Agrifood exposition space. The world of the beer looks like a lively and growing sector too. Take a Look at CDR WineLab® the Wine testing Equipment that best suits winemaker needs!! Vinitaly 2013: CDR participates in the international salon of wine was last modified: May 22nd, 2017 by CDR s.r.l.